Since 2008, I have been privileged to work continuously with the Bill & Melinda Gates Foundation on a broad variety of projects, including special event branding, social media graphics, slide presentations, brochures, ads, internal campaigns and infographics. The founders of Coy Haircare needed a new identity and packaging system as they prepared to reintroduce their salon-based haircare line, including a large number of new products, grouped by hair type and needs. This premium textile manufacturer has been a client for over 15 years. Together we developed a timeless brand focusing on luxury and craftsmanship by using specialty printing techniques, generous fabric samples, and renaissance art. Over time, Coraggio has become the premier interior textile brand for interior designers and has more recently expanded into hand-crafted furniture. Over the last eight years, I've worked with Zeeks as their dedicated designer on every aspect of their visual identity — menus, pizza boxes, interior and exterior signage, advertising, a pizza-specific icon system, and two generations of website, including online ordering and a mobile app. When Calidora was ready to launch its brand and open the doors of it's new clinics, they asked me to create their launch advertising and promotional materials. During those first couple of formative years, the materials I designed guided their creative work as they grew into a well-estabished brand. Deliverables included print ads, seasonal posters, event invitations, and gift cards. 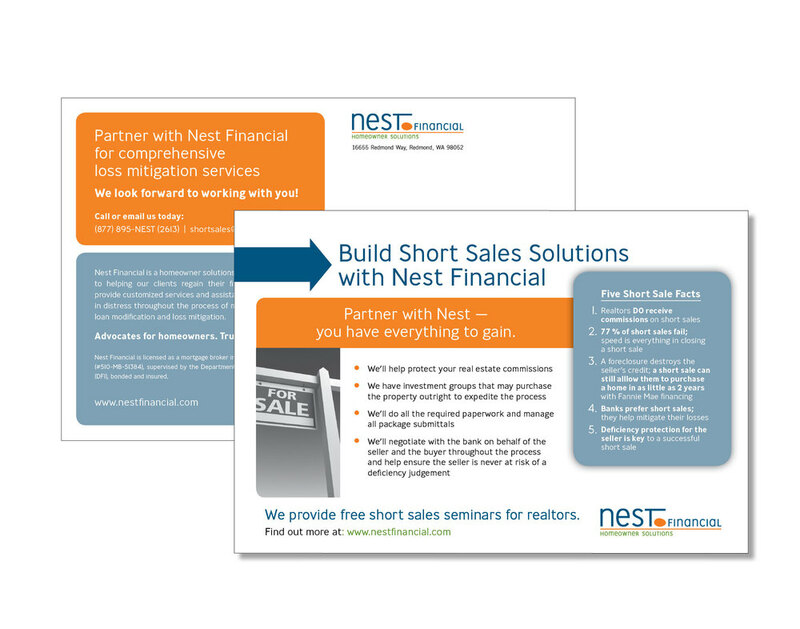 When the housing market plunged, this client was looking to start a business providing ethical and easy-to-understand resources to distressed homeowners. This complete brand development project included naming, logo, all print materials, website, slide decks, forms, and web advertising. This small non-profit organization focuses on the issues created by demographic shifts in the U.S. 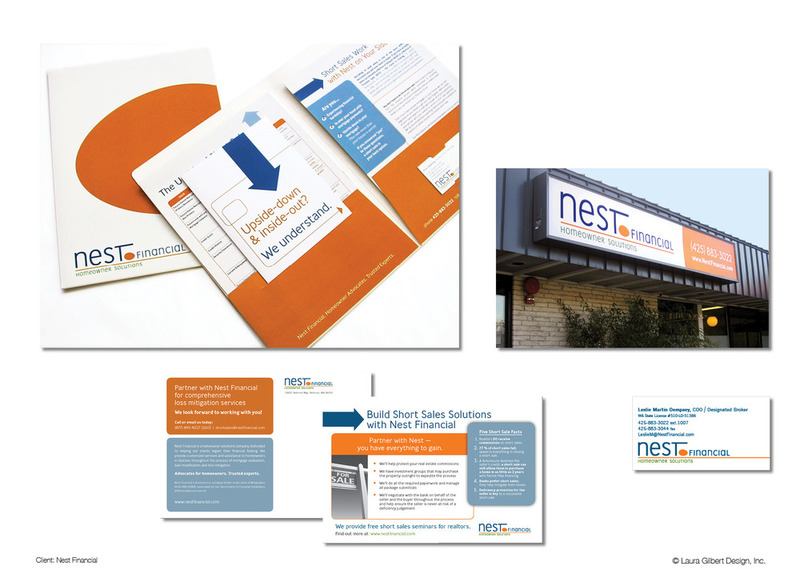 They needed help with an identity, business cards, web site, and information slide deck.